AutoStream Car Care Center is proud to be your one-stop destination for complete auto repair in Columbia, MD. As a local, AAA Approved auto repair shop, we work on all years, makes and models of cars, pickup trucks, SUVs, minivans, crossovers and hybrid vehicles, and always make sure that you are informed and comfortable with the auto services we provide. From an oil change to an engine repair, or a brake fluid flushes to a transmission repair, Maryland State Inspection, A/C repair and more, we’ve got your complete car maintenance schedule covered! Quality auto repair backed by a lifetime warranty. When it comes time to choose where to take your car for auto repair, Columbia drivers know to turn to our expert mechanics for quick, convenient and personalized service. That’s because each member of our friendly, knowledgeable team is dedicated to helping you have a better automotive repair experience! Our auto mechanics are highly trained and experienced ASE Certified Technicians who use state-of-the-art technology to properly handle complete auto repair and maintenance services on all makes and models of domestic and import automobiles. Columbia is not just where we work – it’s our community. That’s why we all stand proudly behind our work by offering a Lifetime Warranty on most of our minor and major car repair services. We invite you to easily schedule your auto service online, give us a call at (410) 381-1130 or stop by today and our talented team will cater to your every automotive need. 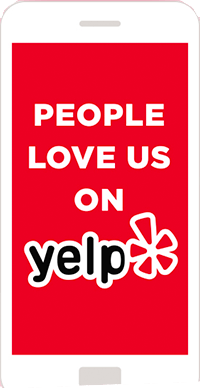 Our goal is to provide you with the highest level customer care of any Columbia auto repair shop and the surrounding community! Enjoy your lunch break while we take care of your car! After you drop off your vehicle to our leading team of auto repair experts, head into our convenience store for a hot coffee, sweet treat, or fresh Subway sandwich. That’s right, we have a Subway located in the same building! Easily use your lunch break to take care of your next oil change or car inspection without having to skip a meal. We also offer free Wi-Fi Internet so you can stay connected while your car gets the quality auto repair service it deserves. And just in case you need to be somewhere else, simply utilize our free shuttle service and we’ll get you where you need to go. AutoStream Car Care Center provides the Columbia area with more than just superior auto repair. Columbia residents have embraced our auto repair shop as a part of their community, and at AutoStream, we are always eager to return the favor! We frequently distribute Community Discount Cards to employees of surrounding local businesses in the Columbia area to help them save on their next auto repair. Although discounts on automotive services are a small gesture, we want to be sure that the members of the Columbia community can maintain the health of their vehicles, and safely drive along our busy roadways. We are also involved in a variety of charitable organizations and projects throughout the community. If there is ever a particular charity or cause that you’d like to make us aware of, please fill out the Contact Form on our website and let us know. Over 1,200 students attend Oakland Mills High School in Columbia. The school offers more than 30 different organizations, teams, and clubs for students to participate in. 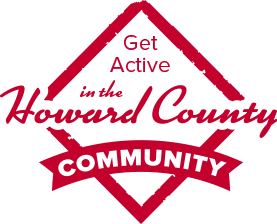 The wide variety of activities provides an outlet for every student’s passion, and their involvement helps create friendships, instill values, and improve overall personal health. AutoStream advertises our Columbia auto repair facility in the Scorpions’ sports calendar every year. The proceeds from the calendar support the school’s athletic program by providing uniforms and the proper equipment for local participants. At AutoStream Car Care Center, we know it’s just as important to provide our educators with what they need as it is our students. Many teachers suffer from a lack of resources available to aid in their classroom. Without proper tools at their disposal, the students’ education will ultimately suffer. We try to help our educators inside and outside of the classroom. Whether our team is providing them with safe, reliable auto repair in Columbia to get them to school, or supplying food for teacher meetings, we want to make sure that every teacher gets what they need to provide students with the best education possible. 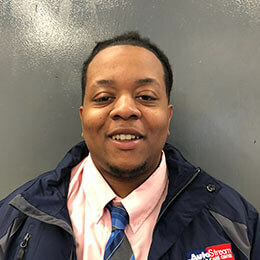 Chris joined the AutoStream Car Care team in 2014, a few short years after graduating high school, and quickly found himself falling in love with the automotive industry. He went on to earn two Associates degrees after high school and then decided to work full-time in the automotive service field. Chris immersed himself in cars and quickly gained the skills needed to succeed and thrive in our business. He is passionate about his work, brings great energy every day, and enjoys making a difference in lives of his coworkers and our customers. Jay joined the AutoStream family in 2018, he comes to us with over 2 years experience in the automotive field. Jay is passionate about the automotive industry and also offering 5 star service to our customers. He has been with his girlfriend Maya for over 4 years and they have 1 child together. Jay loves sports and hanging out watching movies with his family. 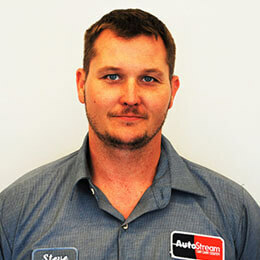 Steve has worked at AutoStream Car Care since 2011 and has been working in the automotive industry for 20 years. He has earned the prestigious ASE Certified Master Technician designation and is an undercarriage specialist.  He has worked in dealerships on a variety of makes and models and has extensive experience working on heavy trucks. Steve is a Maryland State Inspector. 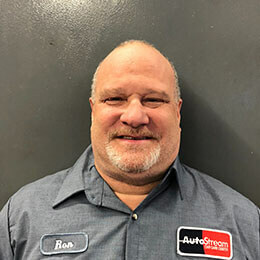 Ron joined the AutoStream family in 2018. 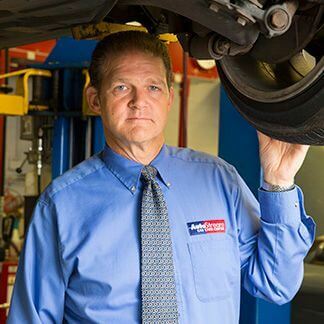 Ron is a Master Technician and State Inspector with over 35 years of experience. He is a professional with experience working on all makes and models of vehicles. Ron has been with his lovely wife Kimberly for over 10 years and is a proud father to 3 amazing children and is a very proud grandfather! He considers himself a grill master and loves spending time at the beach. 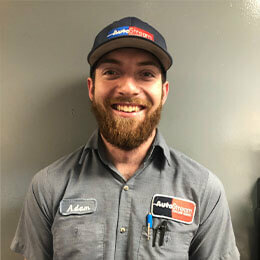 Adam joined the AutoStream family in 2018. He has over 3 years of professional experience working on all makes and models of vehicles. 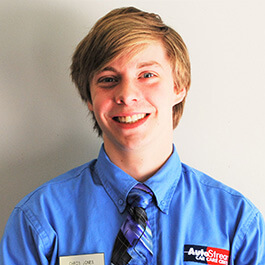 Adam is currently a student at Towson University majoring in Sociology and Criminal Justice. He also has a passion for music and frequently attends music festivals.